How does connection play out in daily life? Connection to people, connection to ideas, to concepts – and to technology? How does that happen, how does it develop, and how can it be influenced, how can it be „gestaltet“/“designed“? The speaker will present some experiences and involve the present people to exchange about their experiences. 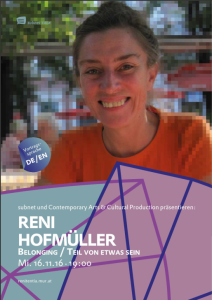 In German and English. 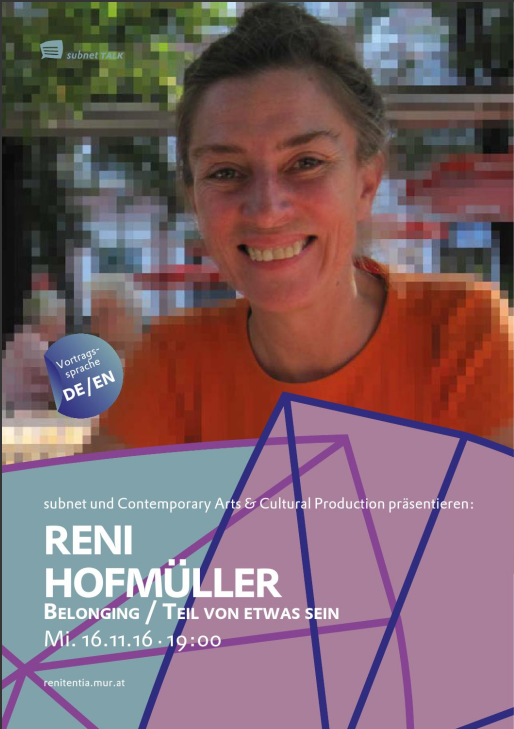 Reni Hofmüller is interested in art as a possibility to create space for exchange, that can build the basis for reflection about society. Art can offer an atmosphere for encounter of the other, and this can lead to a deeper and better understanding of our environment.